Across the Universe blends uplifting flutes with ethereal vocals, creating a timeless musical soundscape that beckons its listener to melt away from daily stresses. The lyrics are odes to the night sky, and the vastness of our earth and the universe beyong. 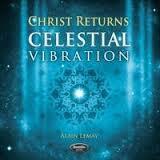 This album is a treasure and a magical accompaniment for any of the healing arts, relaxation, and meditation. Merlin’s Magic is a proven bestseller! This is a wonderful follow-up album to their best selling albums Reiki and Reiki: The Light Touch. Angels are our daily companions. This truly heavenly, very uplifting melody is perfectly accented by flute, sitar, and strings to help make these invisible companions audible. 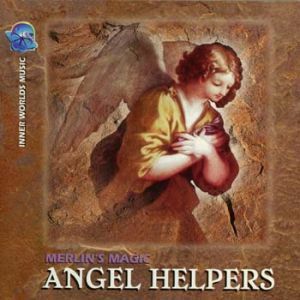 The music of this CD invites the angels to come to you. Together with the angel vibration, Angel Symphony of Love and Light can take you to a state in which you also are like an angel and experience fulfillment. You can relax, get in touch with your inner self, remember who you are, and become more radiant. As a result, this angel music will bring you both enjoyment and healing power. It is an invitation to lean back and let yourself be uplifted. It is a golden ray of sunlight that breaks through the clouds and enchants you like the touch of an angel. Enchanting sounds touch the light within you and invite the angels into your life. This is music for those who feel that life becomes lighter and happier through the love of the angels. The light within you becomes increasingly luminous. Simply open up to the vibrations of the angels, and they will flow through your body, healing and strengthening you. 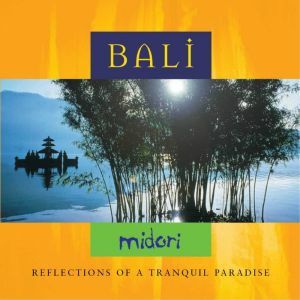 Escape to tranquil paradise and indulge in a moment of calm and serenity – Midori’s music perfectly reflects the peace and spirituality of Bali’s ancient temples. Natural sounds of ocean shore, birdsong, fountains and streams combine with the sounds of Chinese and Indian wood flutes, Shaku, Yi-Ching, Ghuzhen, Finger Cymbals, Dragon Drum, Wind Chimes, and Keyboards to create an album of serene beauty. A peaceful and enchanting journey through Gandalf’s colourful musical landscapes, now available worldwide through Real Music. A harmonious and meditative compilation of the artist’s most beautiful tracks recorded between 1994 and 2001, collected from various albums that had been formerly released in Europe. 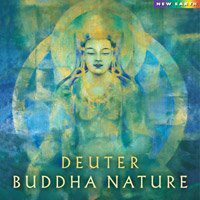 Deuter’s enchanting flute and soft rhythms blend layered melodies with water sounds, inviting us to a world where our own Buddha nature is revealed. Buddha Nature is ideal for meditation, massage, bodywork and relaxation. Winner of the New Age Voice Music Award for Best Meditation/Healing Album! There is a stillness, a point of balance, from which all movement stems, just as there is a place of silence from which all sound emanates. 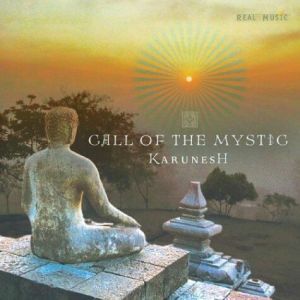 On Call of the Mystic, Karunesh has established such a base from which many wondrous instruments and sounds leap into joyful expression. Beautifully played bells, chimes, Tibetan bowls, sitar, sarod and Chinese instruments, bansuri flute and Indian violin come alive in a symphony of celebration — an offering, a meditation, a delightfully mystical calling, irresistible to heart and mind. Avec la participation de Juliana et sa voix angélique, “”Calling My Angels”” est un superbe album, céleste et relaxant. Composé et interprété par Niall (Reiki River), c’est un excellent support pour les soins de Reiki ou les massages. L’album procure une ambiance parfaite pour se ressourcer et facilite la guérison. Co-produit par Llewellynn et Niall. Ces vibrations célestes ont été exclusivement créées sur des instruments de cristal (vaisseaux, cristal chantant etc.) Cette musique douce et apaisante amène l’auditeur dans un état de relaxation et d’harmonie intérieure. Idéal pour la gestion du stress et la méditation. La détente provoque une augmentation de la résistance immunitaire. Celtic Passage presents the North American debut of this passionate vocalist, embracing the energy of the wholly empowered feminine through a rich soundscape of moving verse, raw emotion, and traditional arrangements that are at once ethereal and grounding. Deirdre offers her music as an expression of a spiritual practice that explores the healing potential of sound. 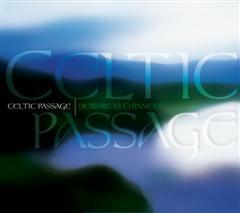 With harp, fiddle, flute, bodhran, and more, Celtic Passage is her invitation ‘to remember and retrieve that which we have lost’ through a musical journey to the worlds of the Shaman and Spirit. ‘In opening to our Celtic past and the wisdom of our ancestors, we create a future of connectedness and respect for difference,’ explains N? Chinn?ide. Exploring universal themes of life and death, nature and the earth, conflict and the redemptive power of love, Celtic Passage is a bold trek to the heart of this ancient tradition. Aimeriez-vous être plus à l’aise avec vous-même? Ressentez-vous parfois que vous vous jugez sévèrement? From the composer of ‘Journey to the Angels’ and ‘Reiki Gold’, comes the long awaited album from one of the best loved producers of angel music. Crystal Angels is deeply relaxing celestial music and perfect for many other therapies including reiki, crystal healing, massage, aromatherapy, meditation, and yoga. Steven Halpern presents an update on his absorbing 2003 album CRYSTAL BOWL HEALING for 2012, including several new tracks and newly remastered sound quality. The album features Halpern’s use of several types of bowls: Crystal Tones quartz bowls, Aqua 24K gold bowl, Egyptian blue bowl, classic frosted bowls and “tuning fork” style practitioner bowls. The result is a wide spectrum of tones and vibrations, ranging from clear, ringing sounds to lower-toned striking sounds. The atmosphere created is charged and powerful, making it essential for meditation and healing work. Dreamy keyboard tones echo in the backdrop of many of the cuts, acting to enhance the bowl sounds and create an ethereal atmosphere. Five new tracks (totaling over 20 minutes) are featured, which add to the richness of the recording. In this follow-up to the much acclaimed De Profundis: Out of the Depths II, Terry Oldfield, combines his beautiful music with the majesty of the whale’s song and haunting voice of Dani Vickery. 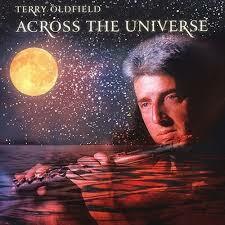 The sound is moving, mysterious and alluring, reaching wave-like climaxes and then returning to the beautiful and familiar depths of Terry’s music. Gordon Smith, premier médium britannique, nous enseigne à établir un lien avec le monde des esprits et une relation plus étroite avec ceux qui cherchent à communiquer avec vous. Gordon vous guidera au fil de méditations et d’exercices qui vous permettront de faire la différence entre facultés intuitives et médiumnité. Grâce à son approche chaleureuse et accessible, Gordon vous aidera à épanouir votre conscience spirituelle et à faire confiance à vos expériences. INCLUDES FREE DOWNLOAD ALBUM! 2 Albums for the price of one!!! Customers can choose any Paradise Album from the Paradise download site by using the unique download code inside the album. Produced by Llewellyn, popular vocalist Juliana presents one of her most enchanting and magical albums to date. Featuring her pure angelic voice with overlaid beautiful harmonies. 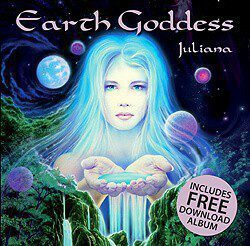 Earth Goddess is a soothing, calming album ideal for relaxation and therapy treatments.